The Rafael Gonzalez Perlas is a medium-full Petit Corona, 4" (102mm) long, of 40 ring gauge, and comes in 5 packs of 5 cigars. One of the most recent cigars of the Rafael Gonzalez lineup, (released in 2011), and is a pretty short smoke, perfect for a morning break. 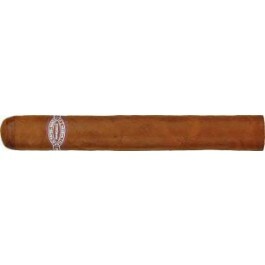 Its construction is great; it's perfectly rolled and feels nice between the fingers. It smokes beautifully, rather slowly and has a nice creamy profile but also develops some powerful woody aromas. There are also some creamy aromas, some coffee, some spices from pepper and some berries touches. The finish is long, with vanilla and some floral aftertaste. Overall, it is a great little smoke that can age very well and evolve into an even more mellow profile.